Museum of London, London, England. Women’s Social and Political Union Banner. 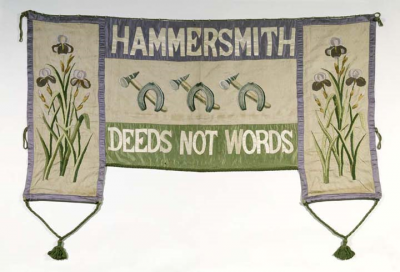 Banner of the Hammersmith branch of the militant Women’s Social and Political Union (WSPU) is reversible. It bears the union slogan ‘Deeds not Words’. The painted hammer and horseshoe symbolise the branch’s locality: Hammer-Smith. 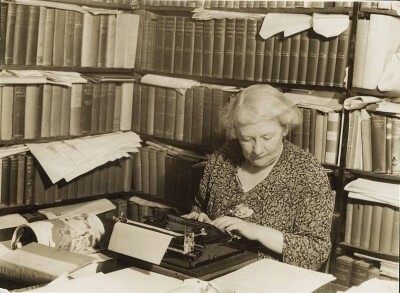 The branch was founded in February 1907 by Frances Rowe and other former members of the Hammersmith branch of the non-militant National Union of Women’s Suffrage Societies. The banner was made c.1910-1912. Dimensions: 960mm wide x 2180mm long. The WSPU was the leading militant organisation campaigning for Women’s suffrage in England. It was the first group whose members were known as ‘suffragettes’. 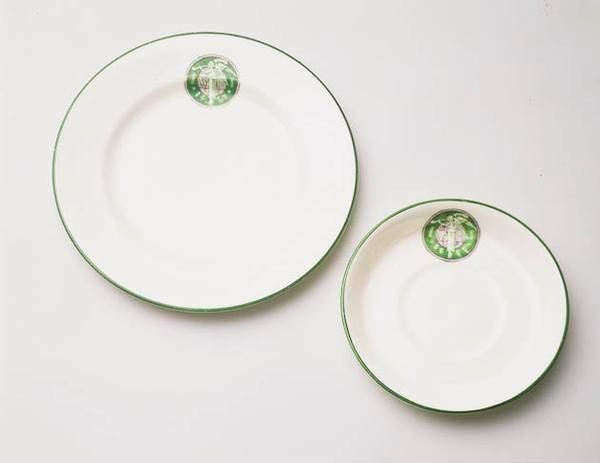 The WSPU was founded at the Pankhurst family home in Manchester on 10 October 1903 by six women, including Emmeline and Christabel Pankhurst, who soon emerged as the group’s leaders. The WSPU had split from the non-militant National Union of Women’s Suffrage Societies, disappointed at the lack of success its tactics of persuading politicians through meetings had found. The founders decided to form a women-only organisation, which would campaign for social reforms, largely in conjunction with the Independent Labour Party. They would also campaign for an extension of women’s suffrage, believing that this was central to gender equality. To illustrate their more militant stance, they adopted the slogan ‘Deeds, not words’. Adela Constantia Mary Pankhurst Walsh (1885–1961) was a British-Australian suffragette, political organizer, and co-founder of both the Communist Party of Australia and the Australia First Movement. Adela was born on 19 June 1885 in Manchester, England, into a politicised family: her father, Richard Pankhurst was a socialist and candidate for Parliament, and her mother Emmeline Pankhurst and sisters, Sylvia and Christabel were leaders of the British suffragist movement. Adela attended the all-woman Studley Horticultural College in Warwickshire, and Manchester High School for Girls. As a teenager, Adela became involved in the militant Women’s Social and Political Union founded by her mother and sisters. Seeking to to distance herself from her family, Adela emigrated to Australia in 1914. She was recruited during World War One as an organiser for the Women’s Peace Army in Melbourne by Vida Goldstein. Pankhurst wrote a book called ‘Put Up the Sword’ and addressed public meetings on her opposition to the war and conscription. She married Tom Walsh of the Federated Seamen’s Union of Australasia in 1917. In 1920, Pankhurst became a founding member of the Communist Party of Australia, from which she was later expelled. The banner has historical significance as evidence of the rise of the women’s suffrage movement in England and the migration of the philosophy of suffrage and the establishment of the movement in Australia. The banner has aesthetic significance as evidence in the design and fabrication of banners, especially women’s suffrage banner of the time. The banner has intangible significance to generations of women political activists including the women liberation movement of the 1970s and 1980s. The banner represents a time when conservative society sought to reinforce antiquated gender roles and a new breed of women stepped up to challenge this ideology, often through public disobedience and defiance of the law. The banner also represents a time when many political allegiances are swiftly and radically realigned from left to right. The banner is a valuable interpretative tool in communicating the evolution and fight for rights for women including the vote, political representation and economic and professional equality in England and Australia and the fickleness of post World War One politics being fed by political ideas migrating from England and Europe. Clarke, M. History of Australia, Sydney, 1986.